Blog/News Archives - Shapiro, Blasi, Wasserman & Hermann, P.A. Firm Shareholder Jeffrey Wasserman shares his insights on the transition from litigation to collaborative law in this article “Check Your Egos At The Door.” To read the full article, click here. To learn more about Jeffrey Wasserman, please click here. 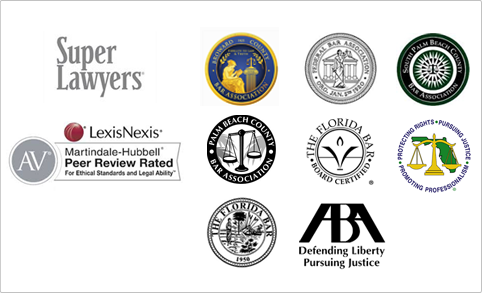 We are proud to announce that Adam Chotiner, Michael Mopsick and Jeffrey Wasserman were named “Top Lawyers” in the 2019 South Florida Legal Guide. Attorneys selected for this list are nominated by their peers, have extensive experience and a distinguished record of achievement. Jeff Wasserman attended the Collaborative Training seminar, titled: Building and Sustaining Your Peacemaking Practice, in Tampa Florida. The two-day training was designed to promote the peacemaking aspects of the Collaborative Process and how to approach clients regarding its numerous benefits as a preferable alternative to litigation. To learn more about Mr. Wasserman, click here. Senior associate Matthew Kish was quoted in a recent article in the Orlando Business Journal. He provided insight about a homeowners association he represents and the potential for positive options in the future. To read the article from the Orlando Business Journal, click here. To learn more about Matthew Kish, please click here. Shapiro, Blasi, Wasserman & Hermann is looking for a Real Estate Paralegal. Click on this link and if you have what it takes, apply today.